@Arto Our engineering team has identified the issue and this will be resolved in our next software release. Thank you for bringing this to our attention! 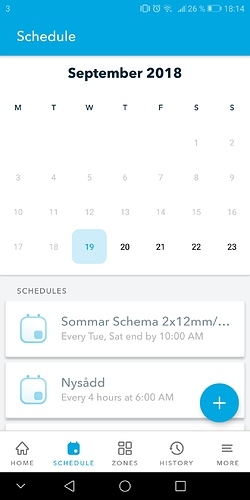 Looks like on some Android devices, the “MinimalDaysInFirstWeek” is set to 4 by default instead of 1 which causes the number of weeks in a month to be incorrect. Setting this value to 1 should fix the problem for all devices. This will be included in Tuesday’s release.